Members of the 41 Signal Regiment and 78 Field Battery showed off what they do at an Open House Wednesday night. 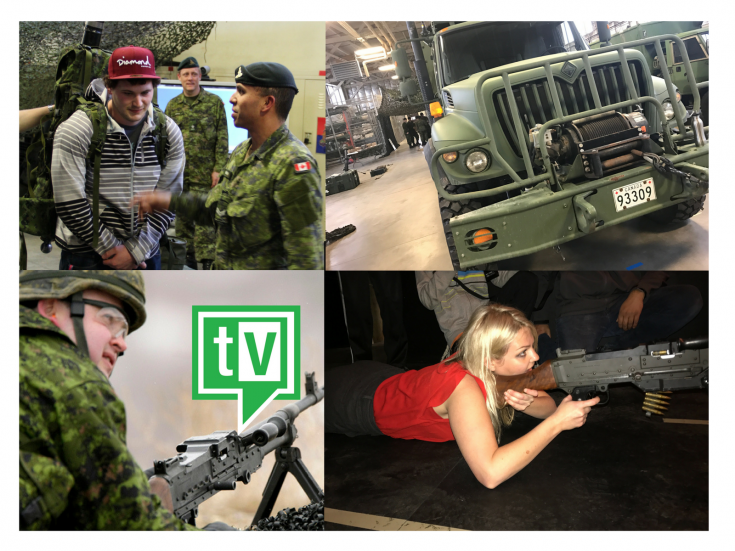 From advanced communications to a Howitzer gun, it was an eye opener for everyone who attended. Special guest Mayor Tara Veer, a longtime supporter of the Reserves, was on hand to share in some of the fun. Here are a few of the sights from last Wednesday’s event. For information on recruiting, please CLICK HERE. Yes, Those Are Bruises. Celebrity Dancer Battling For The Cause!